Thanksgiving is a time for creating family traditions, and an American secular holiday that most families take pretty seriously. It might be the first time that your kids are asked to think and communicate their feelings in front of their family. For some kids this is easy, but for others, it is hard to come up with the words to express their appreciation. 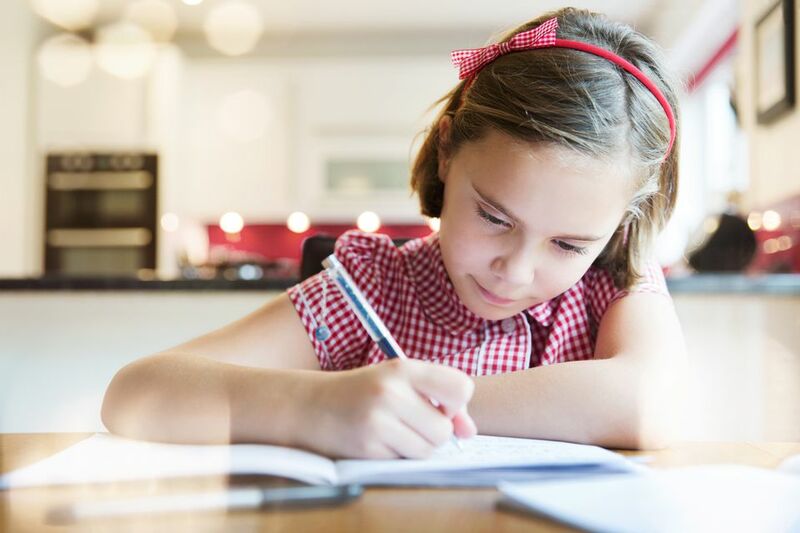 There are a number of Thanksgiving writing prompts out there, and your child may have brought one home from school. Using the "I Am Thankful For" worksheet and its poem format may make it a little easier for her to say what’s on her mind. It is a great activity for everyone in the family to do and ​to bring some thanks to the Thanksgiving table. As you can see from the poem template, it provides your child with the verb. Once your child has a copy of the poem, it’s his job to fill in the blanks. He can do so however he chooses, whether it be with one word or a complete sentence. The template also allows for your child to choose whether he wants his poetry to rhyme, if he wants to write free-verse poetry or if he wants to tell an entire story. Here are some examples of how the poem could turn out. I wonder what they are thankful for. I hear the football game and laughing. I see all the fun we have together. I am grateful for my stuff. I pretend all sorts of things with my toys. I feel glad to have so many things. I touch my sister’s stuff. I am appreciative she doesn’t mind. I understand that Thanksgiving is about being thankful. I say “please” and “thank you” to show that. I dream about the apple pie. I try to be patient before dinner. I hope there is stuffing. I am glad for Thanksgiving. I am thankful for the food. I wonder if it’s good. I hear the music play. I see a beautiful fall day. I pretend I’m a Pilgrim. I feel glad our life is not so grim. I say Thanksgiving is great! I dream of when I’m a no longer a tyke. I try to think of what I'll be like. I am glad there’s always Thanksgiving. I see the things they do to help me. I am not always good at saying so. I am appreciative they don’t get too mad. I say “I’m sorry” when I‘m wrong. I am glad to be part of this family.